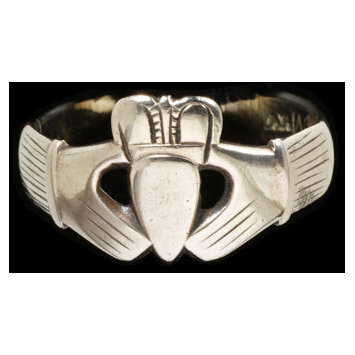 The 'Claddagh' ring takes its name from the Irish village. It is formed of a crowned heart held between two hands. 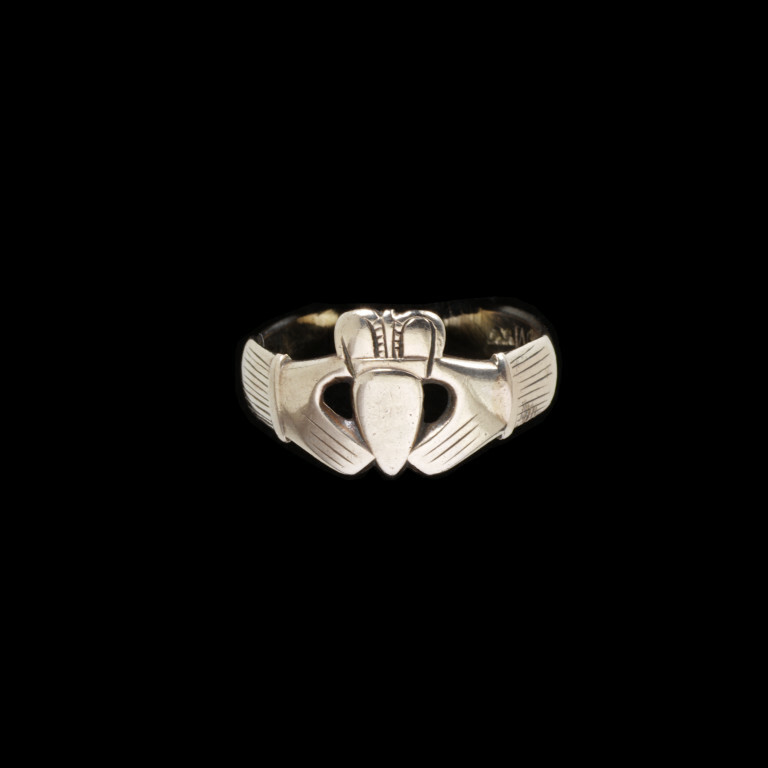 It draws upon older traditions of rings with clasped hands and hearts and is still a popular item of jewellery. 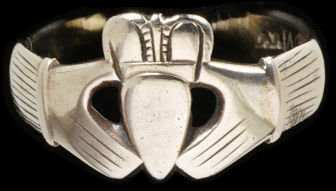 Gold claddagh ring inscribed inside 'JMM.A', with two hands clasping a crowned heart, mark of Andrew Robinson. Historical significance: A variety of fede ring traditional to the Claddagh district of Galway. Gold claddagh ring inscribed inside 'JMM', with two hands clasping a crowned heart, mark of Andrew Robinson, Galway, Ireland, 1750-1800.